I realized today that though I write a book blog, I am remiss in that I have not posted my summer reading list. My excuse is that I don’t have a reason in this era of my life to view summer as any different from other seasons when it comes to reading. In fact, if I had to pick a season during which I spend the most time reading, it would definitely be winter. I despise cold weather, and we had a particularly wet winter this past year. I loathed it, but I did get a lot of reading in. However, I love all the ideas floating around about what one should read during the summer. Some readers use the summer months to take a break from deep thinking and pick up lighter fiction. Some readers use the extra time to really dig deep into some breathtakingly impressive classic by Trollope like The Way We Live Now. I don’t really have a summer reading philosophy, except to read what I think I’ll love reading. I also read, and sometimes even enjoy, a few non-fiction books in the summer because I do actually care about shaping my mind and character and all that. Redfield Farm: A Novel of the Underground Railroad – The rave reviews of this book are killing me because I want to read it so badly but none of my local libraries even have it on order. I’ll have to break down and buy it. The Wednesday Sisters – Books about writers always intrigue me. Islanders – As I wrote in this post about Helen Hull’s Heat Lightning, I would like to read everything by Hull now that I’ve gotten started. One of my readers said I would probably like Islanders so I’m hoping to get a hold of it in the next few weeks. 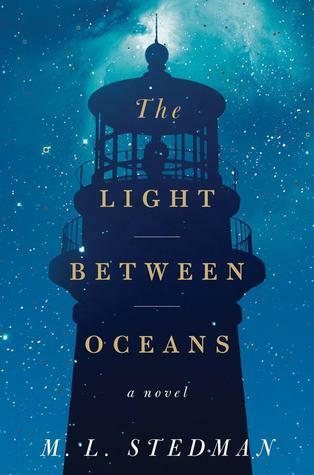 The Light Between Oceans – Some of my favorite bloggers have really enjoyed this book, so I’m looking forward to finding out what all the love is about. The plot sounds kind of like a short story by L.M. Montgomery I read a long time ago. So it has that going for it. The Princess and the Goblin – I’ve never read anything by George MacDonald, but I have read a lot by C.S. Lewis and the fact that MacDonald had a huge impact on Lewis is enough for me to know that I need to read at least some of his work. I’ve been told to start with The Princess and the Goblin but if you have other advice, please let me know! Educating the Wholehearted Child – I am a little unsure of what a “wholehearted” child is but it sounds like a noble goal and I love Sally Clarkson’s book The Mission of Motherhood. I’m pretty sure we’ll be starting some homeschooling this fall with Ella, my four-year-old, so I think it’s important to start thinking through some long term goals for my children’s education. The Hiding Place – I realized this year that I read an abridged version of this as a child but I haven’t ever read the real thing. With my recent and unintentional literary focus on WWII, I would be a terrible former history minor if I didn’t read this book, too. Also, the copy of the book we have is signed by the author. Trust me, I don’t have many books signed by the author. 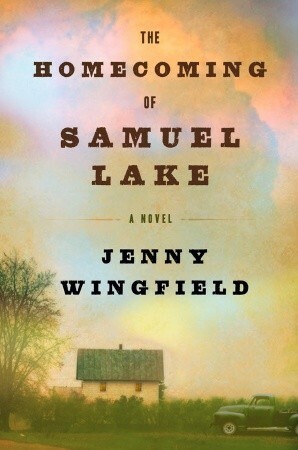 The Homecoming of Samuel Lake – I don’t always love Southern Literature, even though I’ve lived here all my life. But that doesn’t really mean anything–who can say they love all of a certain genre? I picked this book up at the library last week and read a few pages and I think it has potential. I hate how often reviewers of Southern Lit books say something along the lines of “Fans of To Kill a Mockingbird will love this book,” because that seems like some kind of literary heresy, but I have to admit that statements like that do get my attention. And that’s pretty much my list for the next few months. I will definitely read other books that are not on this list and I will probably not finish all of these books. Reading lists are more like guidelines in my world right now. Also, I’m a quitter when it comes to reading for pleasure. If I don’t like it or can’t find some good reason for finishing a book, I simply don’t finish it. There is not enough time in the world to read bad books. Or even good books that I don’t like. But I like having a list and I like seeing other people’s reading lists, too. So what’s on your list this summer? Books To Read This Winter – There’s Something For Everyone! Thanks for posting the list! I’m already looking forward to reading your reviews. I really, really love “The Princess and the Goblin” (I can’t figure out how to italicize on my phone!!) and just finished reading it to my kids, but I would recommend starting with “The Light Princess.” It’s more of a novella, so you don’t have the commitment of a full novel, and it’s delightful. Even Ella might enjoy it (slightly edited, perhaps, for a dull-by-child-standards chapter parodying pop-psychology and the potential scariness of a witch who transforms into a serpent). Does she like swimming? It’s a book to make you fall in love with swimming. Thanks for the suggestion! The Light Princess is free on gutenberg.org so I’ll be starting it soon. Have you read At The Back of Northwind? I mean to it one day.